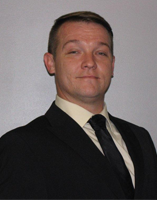 Randy Wood is a licensed salesperson born and raised locally graduating from Middleburgh high school in 2002. Attended Suny Coblesskill receiving a business degree while working for his grandfathers heating and plumbing company. After which he joined Local 7 in Albany as a union pipefitter. After five years of trade school he graduated top of his class and was immediately promoted to foreman. In his free time he enjoys snowboarding, dirtbiking,running for charities and restoring old homes to there former glory.